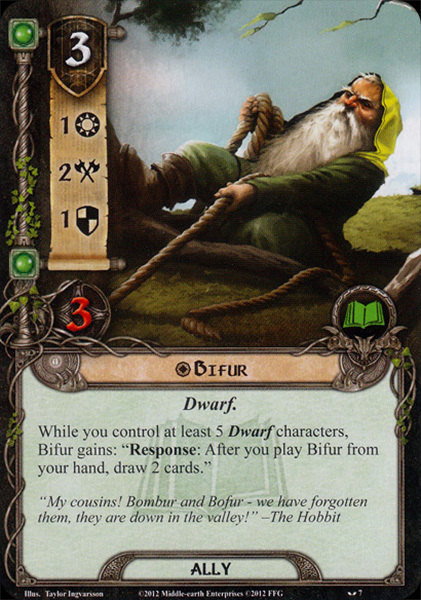 Bifur was older than Fíli and Kíli (b. T.A. 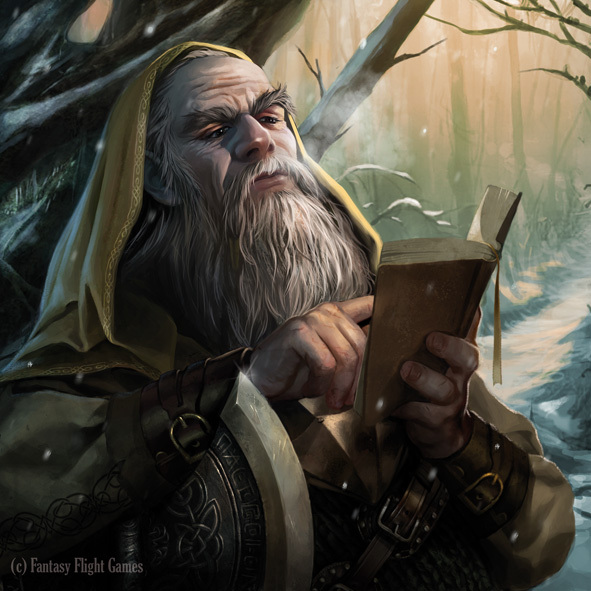 2859) at least 'by some fifty years' but younger than Balin (b. 2763). Bifur was born anytime between 2763 and 2809, and he would have been between 132 and 178 years old when he joined King Thorin's operation to reclaim Erebor. On the doorstep on the side of the Lonely Mountain, when Thorin commented that the next day was the beginning of the last week of autumn, Bifur pointedly added, 'And winter comes after autumn'. The name of Bívurr originates in the Dvergatal. It is of Old Frisian origin, meaning 'Beaver' or, by extension, 'Hard Worker'. In the earliest partial manuscript of The Hobbit more of the dialog later assigned to a few of the Dwarves is more evenly distributed. 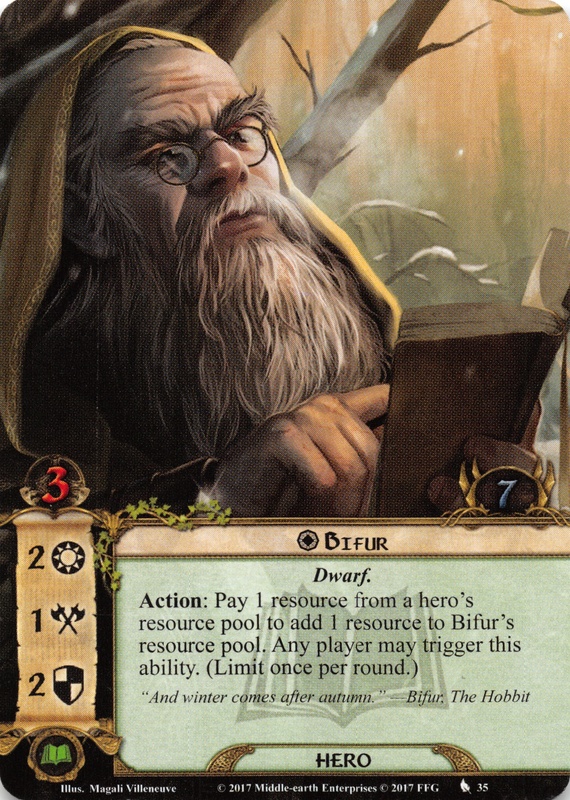 In the opinion of John Rateliff (author of The History of The Hobbit) this streamlining strengthened the story through simplification, but at the cost of relegating some of the Dwarves to obscurity since they barely speak at all. 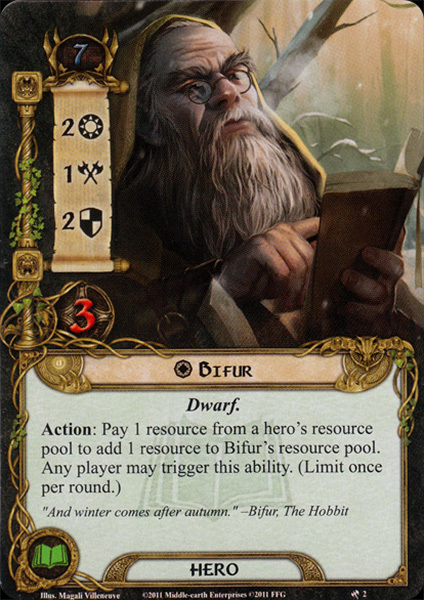 Bifur is one of these 'silenced' members of the company.